Were you the kid in school who was constantly taking things apart and putting them back together? Did you thrive on making things with your hands no matter the material? Did you love Play-Dough, clay, paper mache, sticks, popsicle sticks, legos, Lincoln logs, and model kits? Could you spend a whole day making a fort from blankets, books, chairs, and pillows on snow days in your home? If so, then a metal works career may be for you. Fort Miller FAB3 Corp in Schuylerville, NY, is looking for qualified people who like working with machines, materials, and molds to join our team. Visit our career page for the latest openings or submit your resume online today. WHAT DOES A METAL CAREER LOOK LIKE? Well, as you can imagine, metal careers work with metal. The ability to cut, repair, and join together metal is crucial to a metal works career. Being able to operate a variety of machines is also paramount to a metal works career. Here at Fort Miller FAB3, we have the latest models for laser cutting, plasma cutting, robotic welding, and CNC machining needed to perform our jobs with the highest efficiencies and best quality standards. Metal workers create parts for everyday use such as small items like automobile tools or large parts to build bridges. 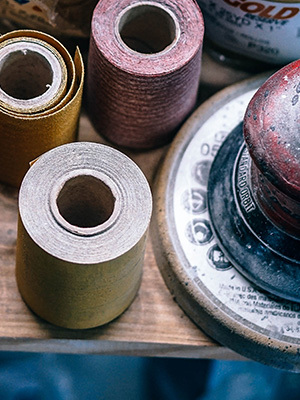 Some job duties include repairing, maintaining, and setting machines that form, cut, and join metal as well as setting up and running machines that include cast, roll, stamp, or drill metal. As a skilled trade, metal works and metal fabrication is an extremely rewarding career that offers growth and advancement opportunities, especially as technology constantly evolves. Safety and protection are paramount to Fort Miller FAB3. Safety goggles and hard hats are standard equipment as well as ear protection and proper ventilation of fumes. Welding involves extreme heat, which requires protective clothing and gloves. WHAT SKILLS DOES A METAL WORKS PERSON NEED? Metal fabricators need strong reading and math skills. Metal fabricators need knowledge of metallurgy, welding, and the ability to read and interpret blueprints. Metal fabricators need good communication skills. A lot of metal works is done on a team basis, so working well with others is a desired skill set and behooves the metal worker to cultivate this skill. Metal fabricators need to be able to adapt rapidly to changing technology. Here at Fort Miller FAB3, we stay abreast of the latest trends in metal works and metal fabrication technology, and with laser cutting, plasma cutting, robotic welding, and CNC Machining, the advent of new technology can be dizzying. We are looking for people who can adapt to the ever-changing demands of the metal works industry. Metal fabricators need to be able to learn. With the rapid change in technology, we offer regular training on new equipment, new processes, and new techniques that we incorporate into our business model. We are seeking individuals who are willing to learn these new processes and implement them into their daily tasks. Advancement opportunities are limitless here at Fort Miller FAB3. Skilled laborers are retiring at a quick rate, and the demand for skilled metal fabricators is expected to increase dramatically in the next decade. We provide on-the-job training and offer many chances to specialize. As the Top Rated Local® fabrication company here in the Saratoga Springs, New York, area, Fort Miller FAB3 Corp is seeking individuals who are as diversified as we are. As the best custom metal fabricator, we are involved in the project from initial design to manufacturing to finished product. Utilizing carbon steel, stainless steel, and aluminum, Fort Miller FAB3 Corp helps our customers decide which material is best for their project and answers any questions that arise. We put our customers’ needs first in all that we do here at Fort Miller FAB3. Fort Miller FAB3 Corp cares about our employees and invests in their growth. We understand that when employees are valued they are more productive. We strive to make our workplace a place you look forward to coming to every day. While we work hard, we play hard as well. With social events and holiday parties, we believe in investing in the individual. We also invest in our community, and if you have a cause that is near to your heart, let us know, so we can participate as well. If you are interested in joining our team, please visit our Careers page and apply for a job, submit your resume, or sign up for job alerts. We are always on the lookout for new talent who would fit with our culture. Those seeking a rewarding career with a great company culture and love to create new and innovative products for customers are encouraged to apply. We will be in contact with your shortly. 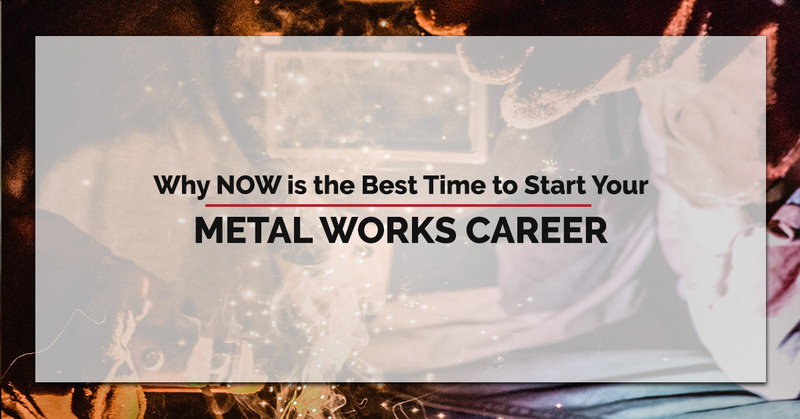 Begin your metal works career today!